If you’re an experienced angler looking for a new challenge (like these two smiling tenkara converts) or a beginner who thinks fly fishing is too difficult or too expensive….then tenkara fishing is for you. It’s a great way to enjoy time outdoors, catch fish and have fun. 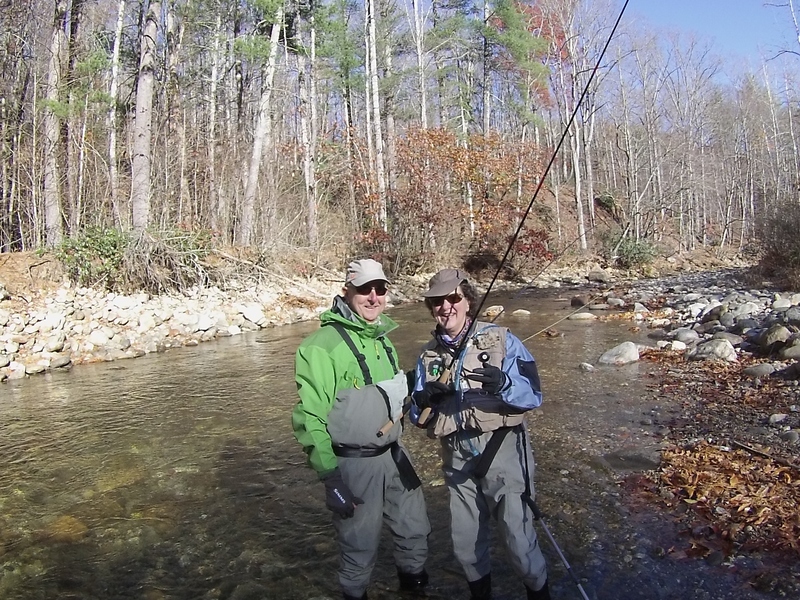 November in Asheville is a very fishable month. The leaves are mostly down so the streams are clear and cool, just the way trout like them. We’d love to introduce you to tenkara, the new/old way to fly fish. It’s what we do, it’s all we do, we love it and you will too!